Last week, D.C. Council member Trayon White Sr. blamed the Jews for bad weather. “It just started snowing out of nowhere this morning, man. Y’all better pay attention to this climate control, man, this climate manipulation,” he said in a video posted to his Facebook page. “That’s a model based off the Rothschilds controlling the climate to create natural disasters they can pay for to own the cities, man. Be careful.” The Rothschilds, of course, are a Jewish banking dynasty whom hateful conspiracy theorists have impugned for everything from the Kennedy assassination to the Islamic State. But although this story may be funny on the surface, it masks something deeply unsettling beneath. When initially contacted by The Washington Post about his video, White “expressed surprise that his remarks might be construed as anti-Semitic” and insisted “the video says what it says.” White has apparently also raised the shadowy specter of the nefarious Rothschilds (who “control the World Bank, as we all know”) at public events. And even when he ultimately apologized, White still claimed that he had no idea that he was posting anti-Semitic material. What’s troubling is that this is entirely possible. The scandal here is not just that an elected Democrat, the youngest on the D.C. Council, believed that a family that has been the target of anti-Semitic conspiracy theories for centuries is controlling the weather. It’s that he exists in an information bubble where this sort of thing is apparently both common and not considered outrageous or reprehensible. And the existence and influence of that bubble is far more disturbing than any single anti-Semitic eruption. When an anonymous troll of any political persuasion trumpets anti-Semitic conspiracy theories on social media, it is the sign of a broken person. These individuals know that their communities would reject them if they put their names to their hate, and so they conceal their identities online. (They’ve told me so when I’ve interviewed them.) But when public figures feel free to share such content unselfconsciously on their feeds, it is the sign of a broken culture. It means that within their ideological universe, they do not expect to experience any opprobrium. Like White, they might not even realize that what they shared was bigoted, because no one in their circle ever told them otherwise. 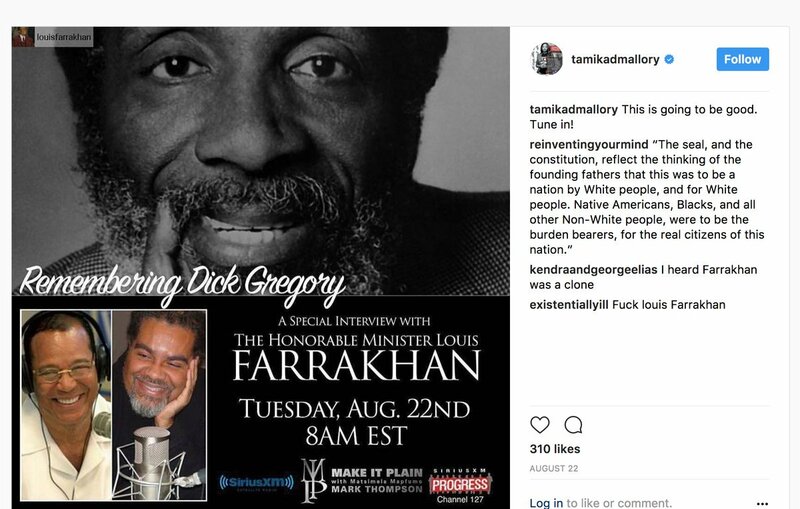 Like Tamika Mallory, the Women’s March organizer who repeatedly praised and promoted the anti-Semitic homophobe Louis Farrakhan, such people may passionately insist that they oppose anti-Semitism even as they seemingly fail to recognize it when it is staring them in the face. Systems of racism and bigotry often produce acolytes who don’t even realize they’ve been co-opted. Anti-Semitism is no exception. In this sense, White is more a symptom than a cause — the apparently unwitting product of an underlying anti-Semitic and conspiratorial current, not its producer. It’s not hard to spot the many sources of this ecosystem. 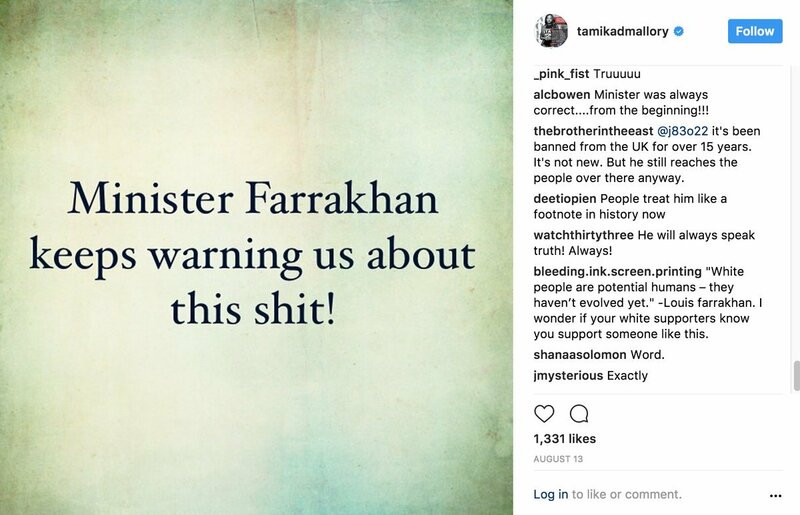 Everyone from the far-right conspiracy theorist Alex Jones to the Nation of Islam’s Farrakhan has fulminated about the Rothschilds. YouTube, which purports to filter anti-Semitic and other hateful content, is in fact full of videos propagating the Rothschild conspiracy theory, racking up millions of views. The results are unsurprising: A Jordanian TV analyst declaring that the Rothschilds assassinated six presidents; an Oberlin social-justice writing instructor posting memes of Jacob Rothschild stating, “We own your news, the media, your oil, and your government”; officials in the British Labour Party claiming that the Rothschilds control Britain and the global economy. Yet even as it has become increasingly apparent that these bigoted disinformation bubbles exist and have ensnared numerous individuals, many are still in denial and dismiss the inevitable anti-Semitic outbursts they provoke as isolated incidents. This is true on the right — where no matter how many neo-Nazis, anti-Semites and Islamophobes that President Trump retweets, white supremacy and bigotry is viewed by many as incidental to his appeal. And it’s true on the left — where anti-Semitic incidents are too often ignored or explained away as distractions or exceptions, from the Women’s March organizers and their Farrakhan fandom to the Chicago LGBT march that ejected lesbians displaying Jewish stars. The reality is that conspiratorial anti-Semitic culture and its assumptions about Jews infect people across the political spectrum. It’s time that partisans on the left and right recognize this and start fighting the bubbles in their own communities, rather than pointing fingers at one another. Otherwise, the forecast will be far worse than just an accidentally anti-Semitic amateur meteorologist. Why do white supremacists hate Jews? Because we can fight back. President Trump thinks asking him to condemn anti-Semitism is insulting. Why?